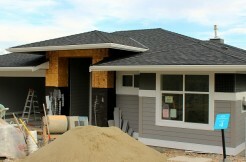 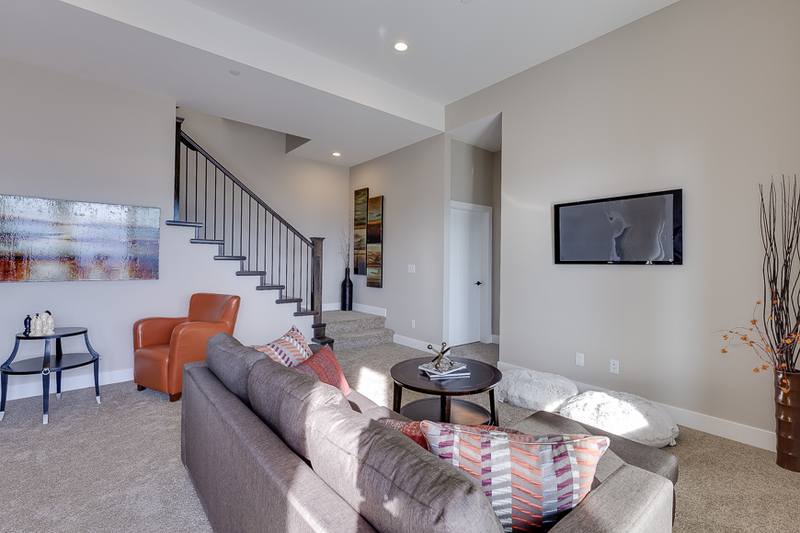 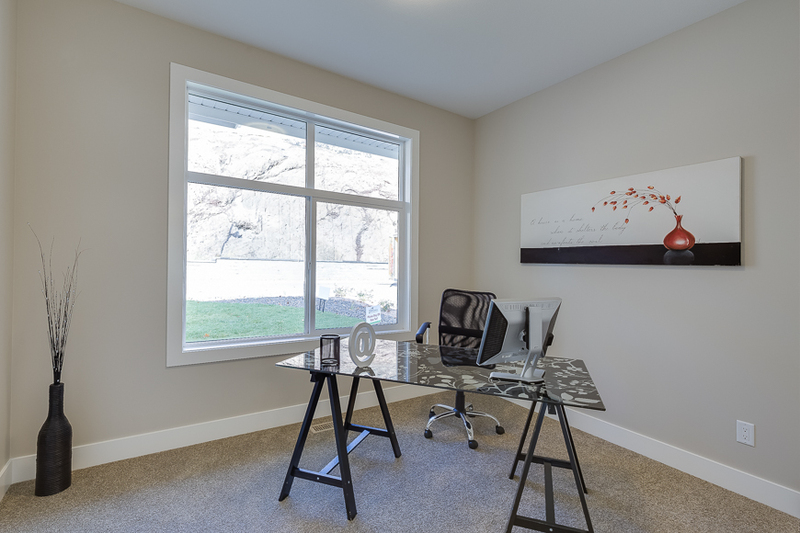 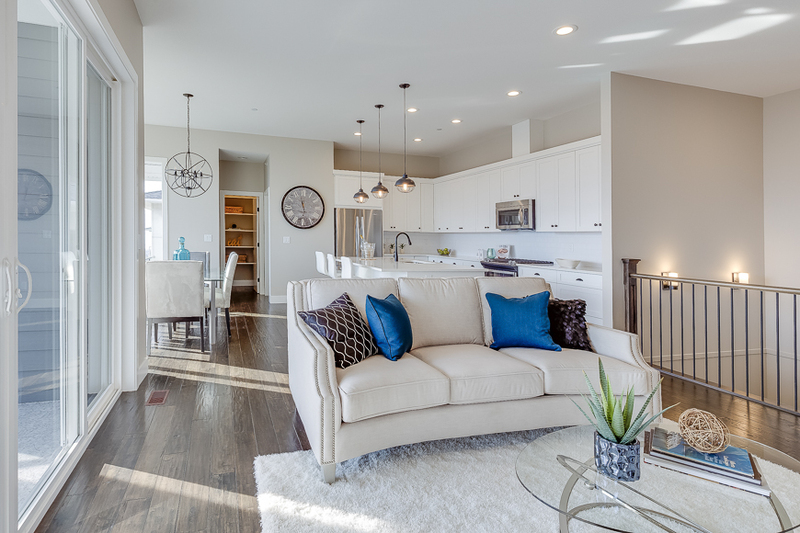 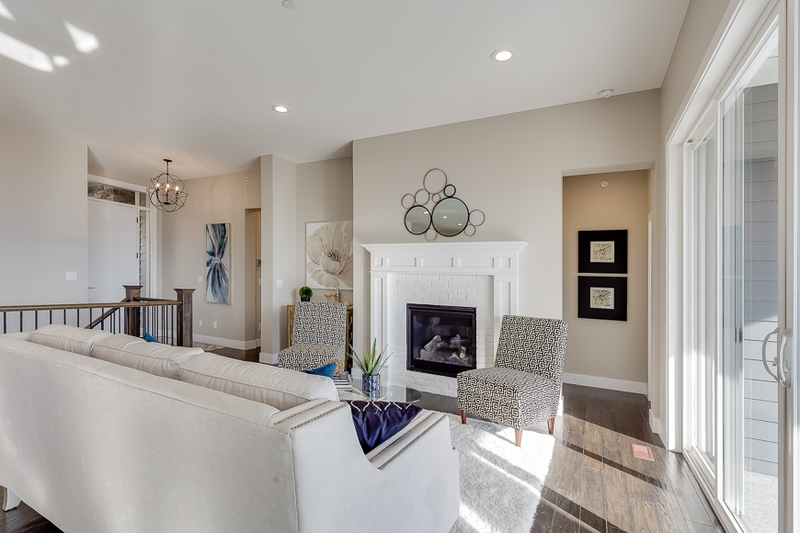 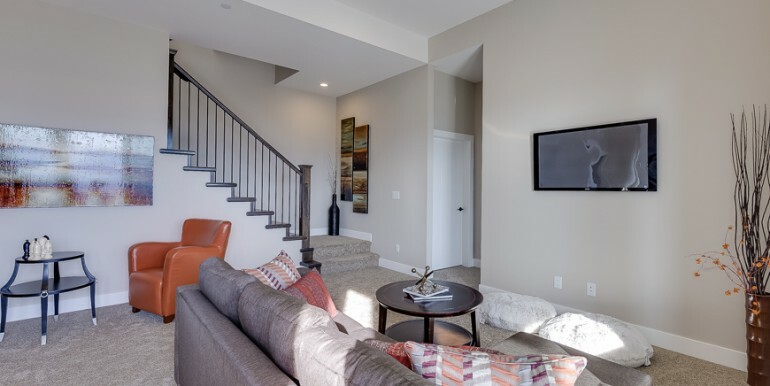 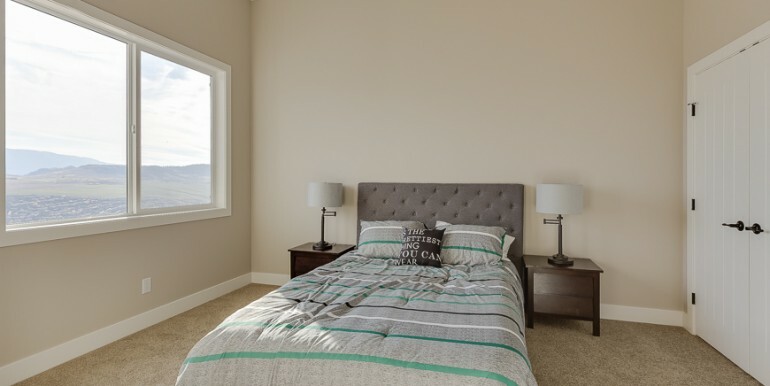 This brand new custom designed home, The Rowan, is located at the top of our community along the highest boulevard on the south side of Turtle Mountain. 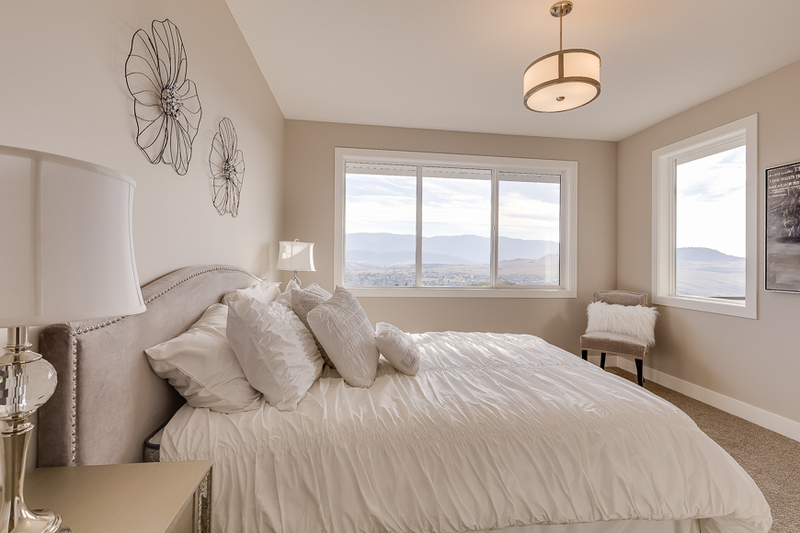 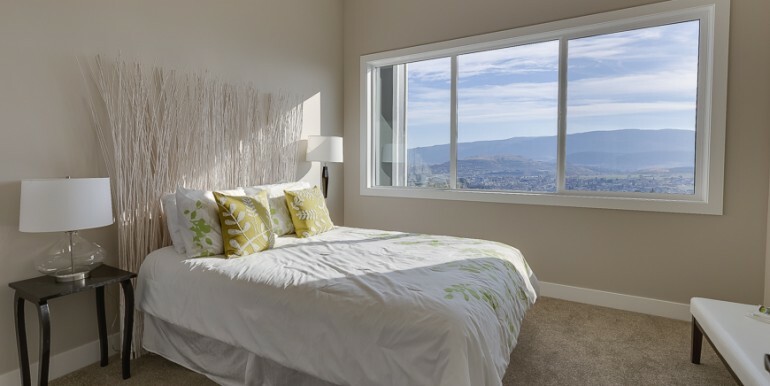 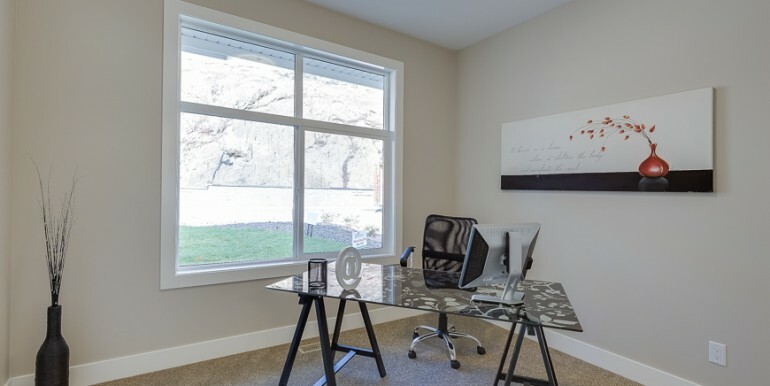 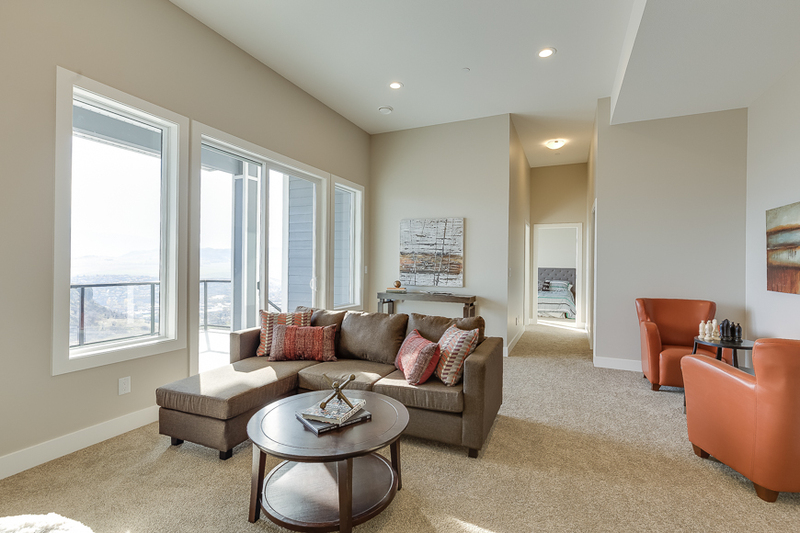 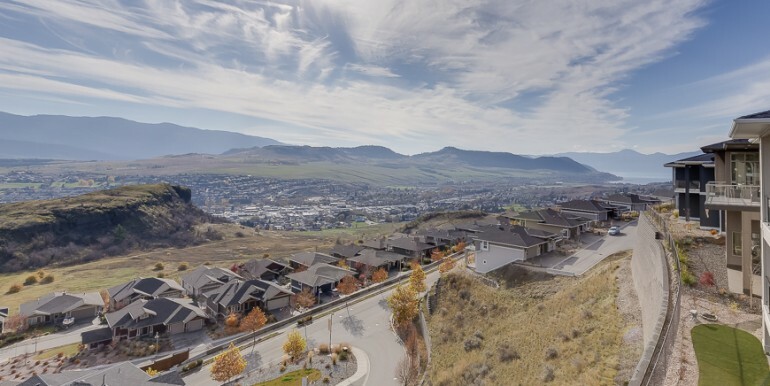 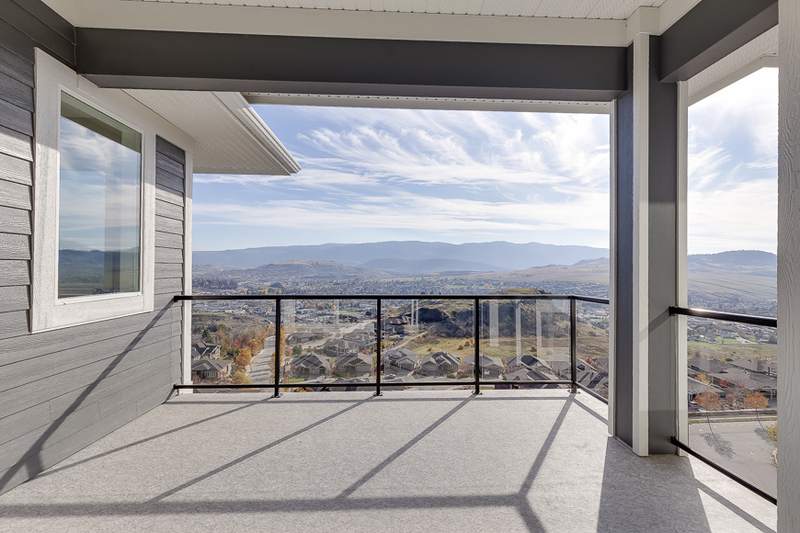 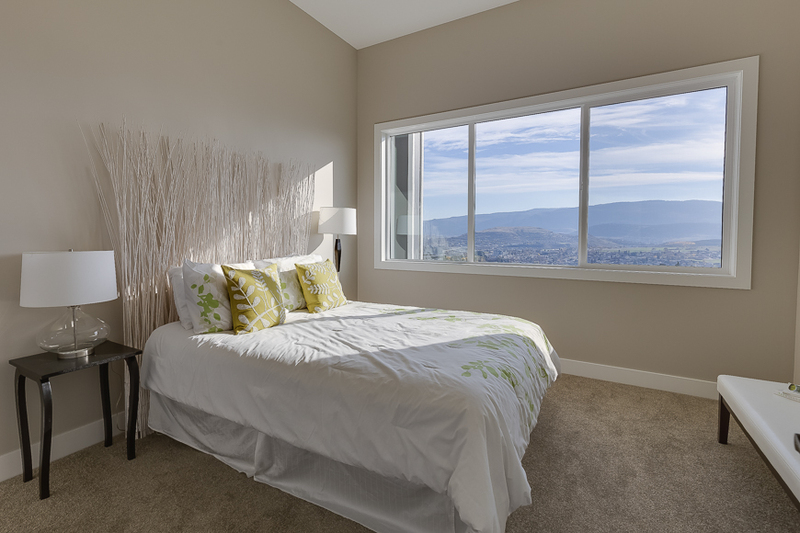 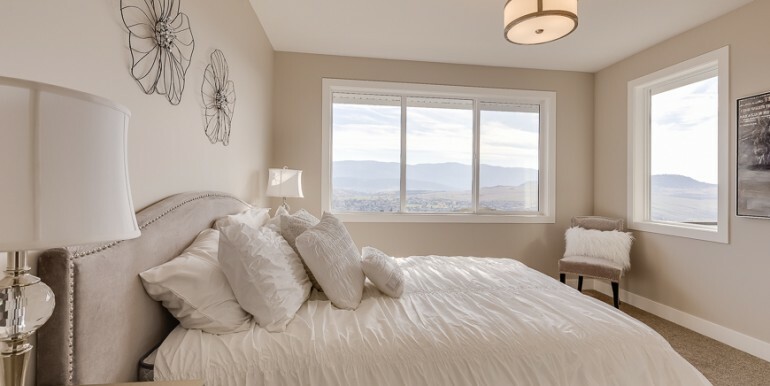 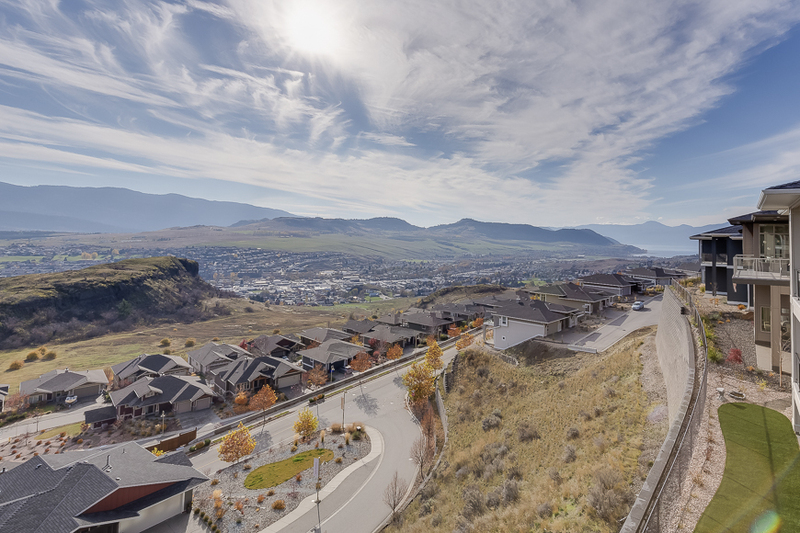 From here the Rowan features exceptional views to the South over Okanagan Landing and the City of Vernon. 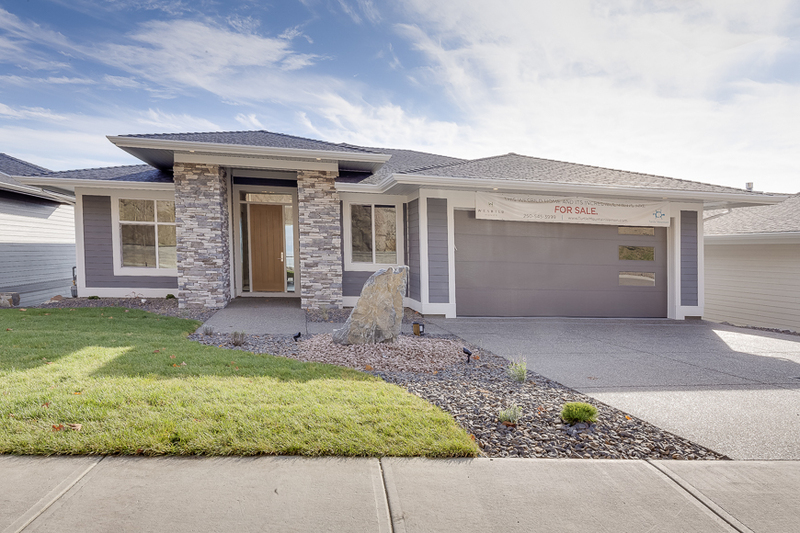 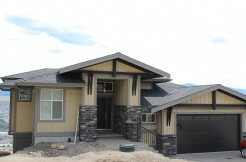 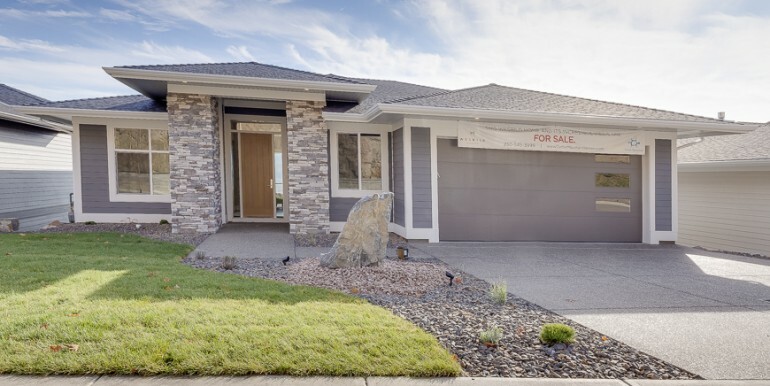 This home comes complete with our Wesbild exterior package including fully landscaped front and rear yards, exterior accent lighting and a custom-designed water feature. 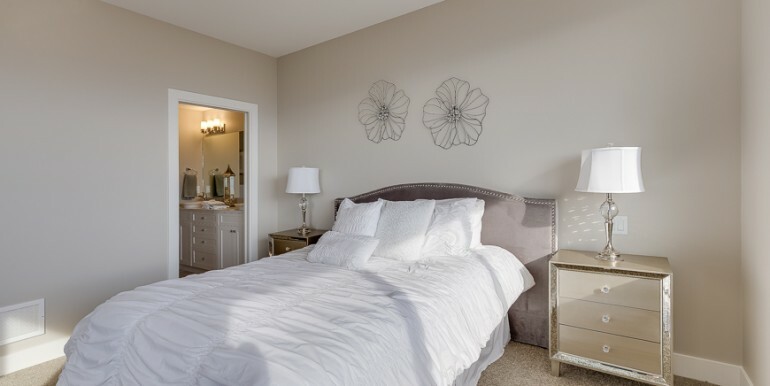 The Rowan offers main floor living for two people with a chef’s kitchen and a large walk-in pantry, complete with organizers. 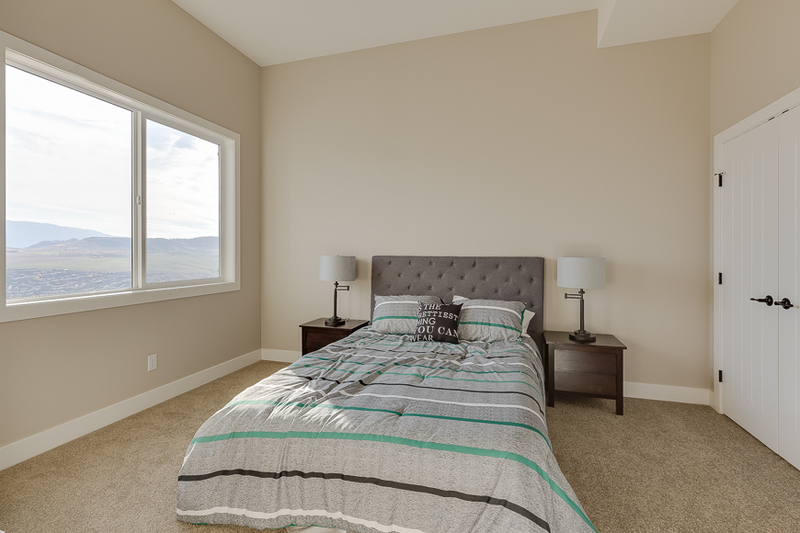 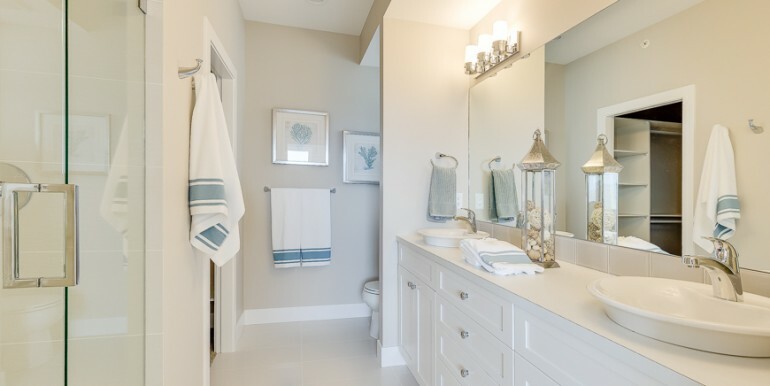 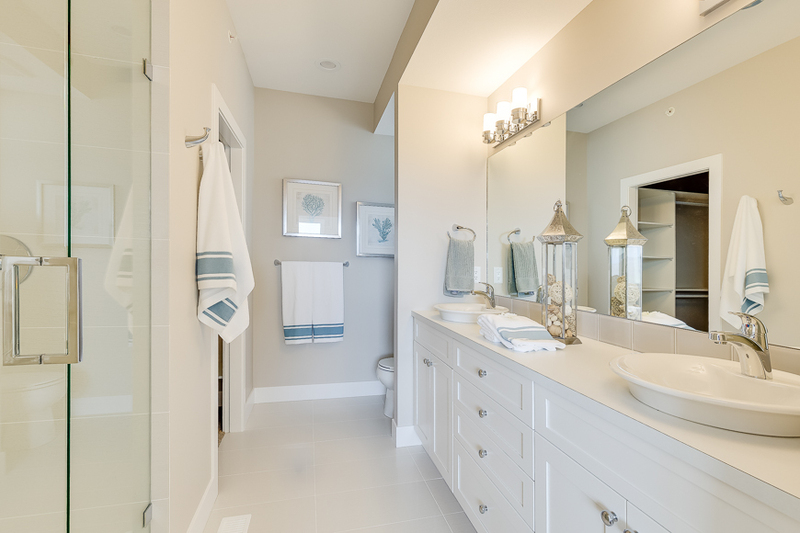 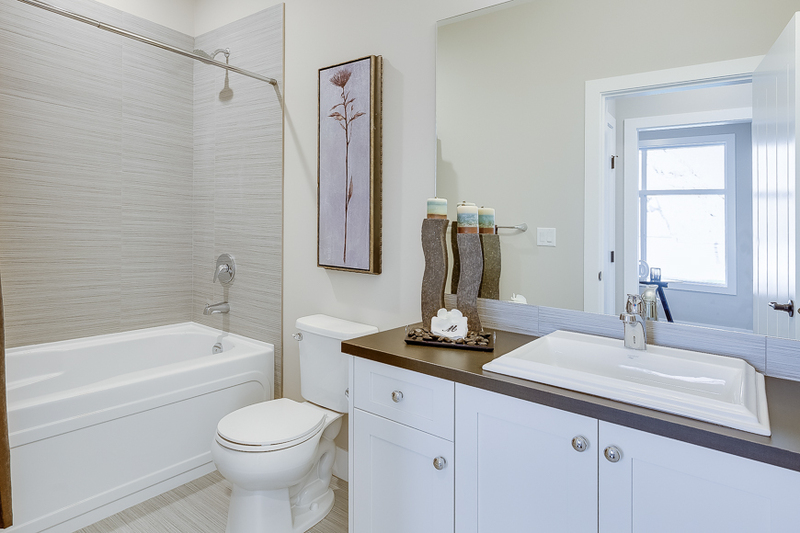 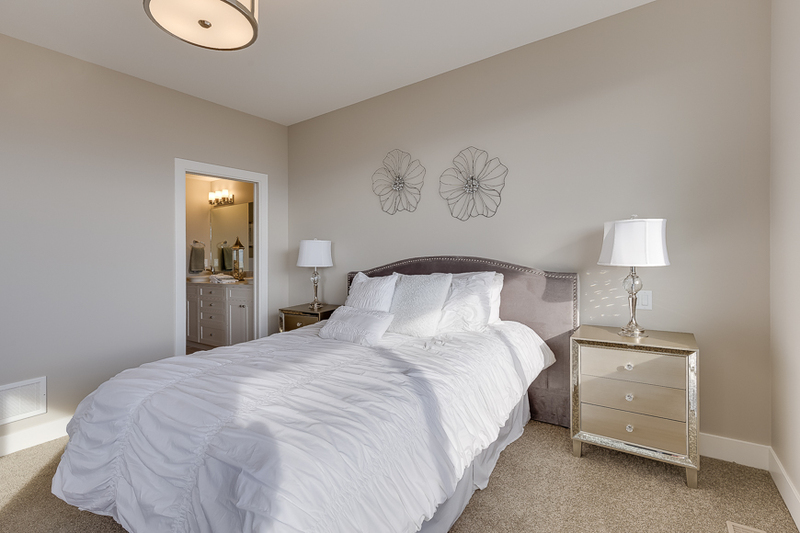 A large master suite captures the view and leads to a luxurious ensuite and walk-in closet. 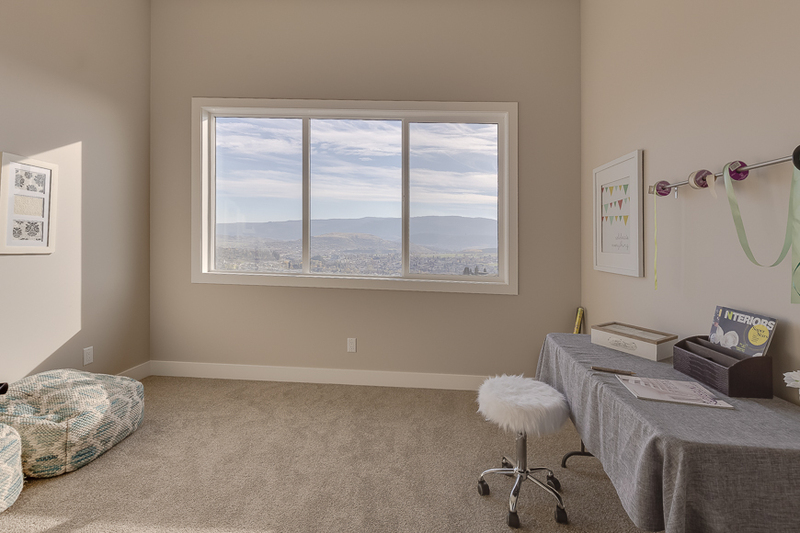 The large garage features an extra nook for a work bench or for storing large toys of all kinds. 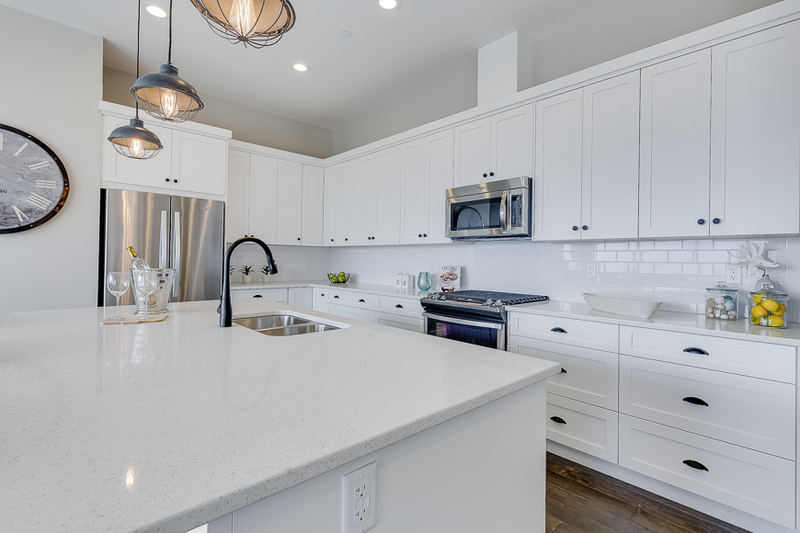 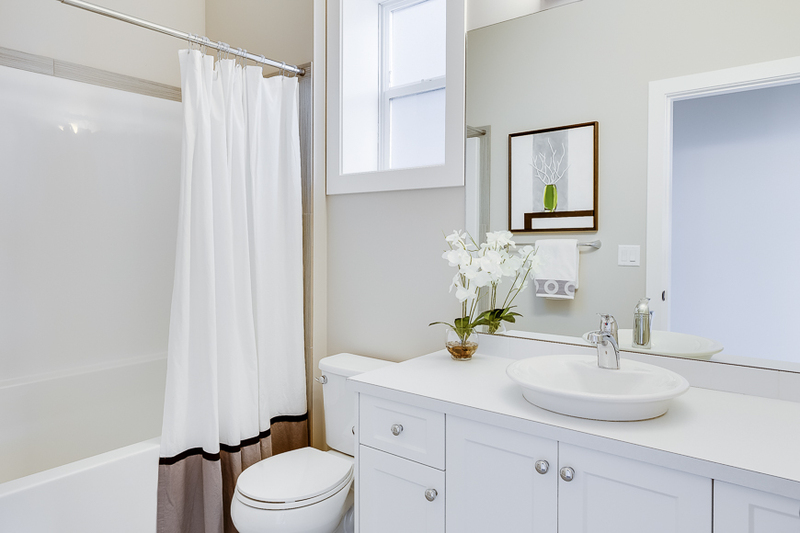 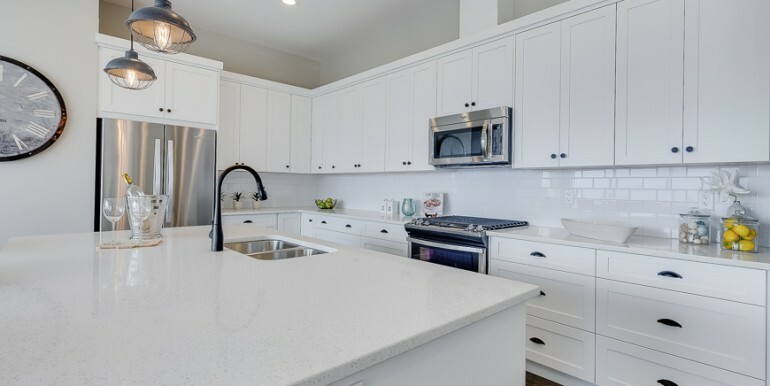 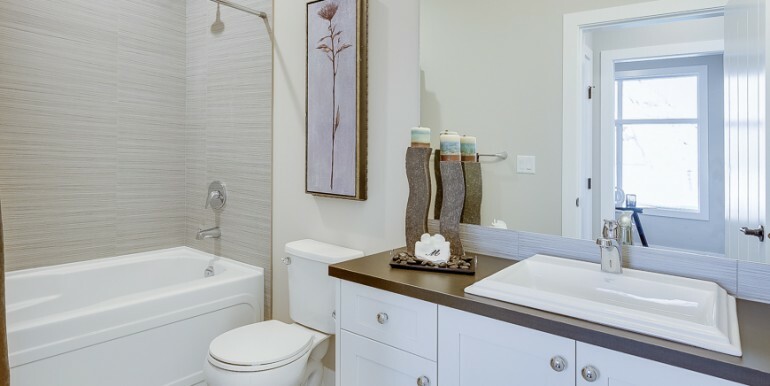 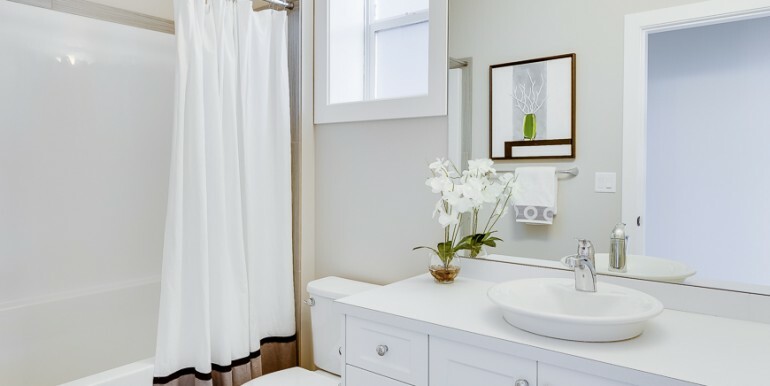 Our high-end Wesbild finishes can be found throughout the home including soft-close cabinetry, Kohler fixtures, stainless steel appliances, hardwood flooring, and inspired light fixtures. 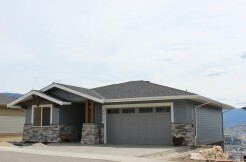 An additional 2 bedrooms and bathroom are located on the fully finished Terrace Level of this home. 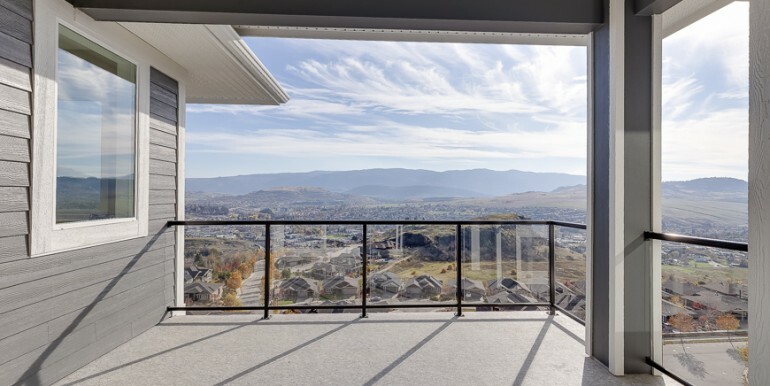 Flanked on three sides by lakes and mountains, Turtle Mountain homeowners enjoy some of the most captivating views in the Okanagan. 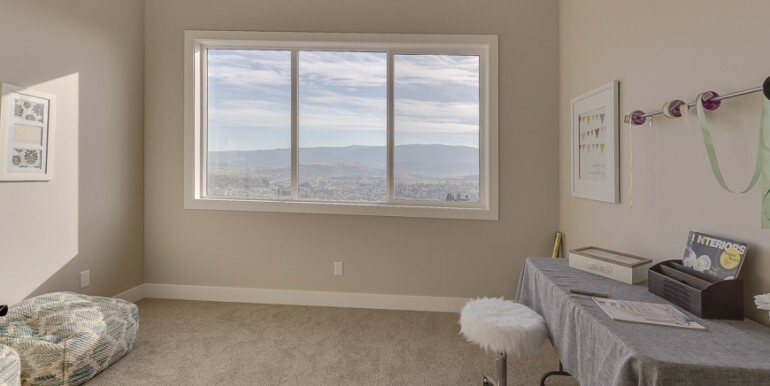 Ample windows and large covered decks are the focal points in our exciting brand new home plans, while fresh new interior design schemes bring the natural beauty of the outdoors inside. 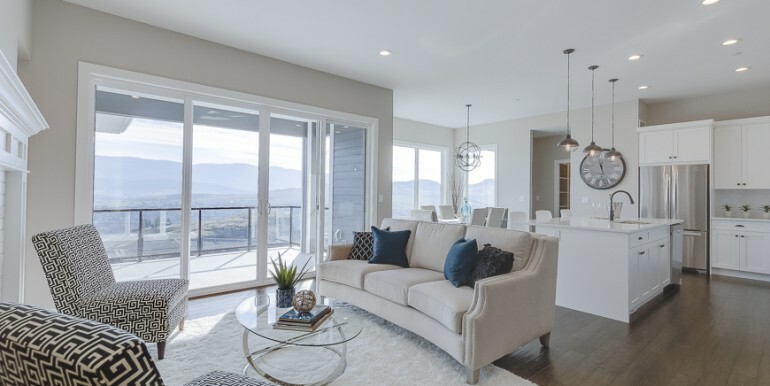 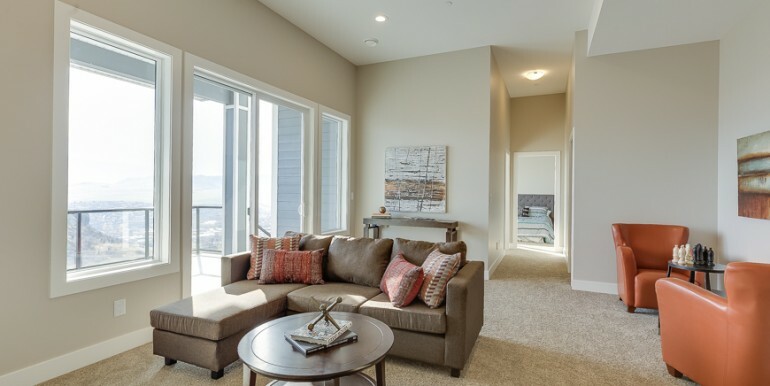 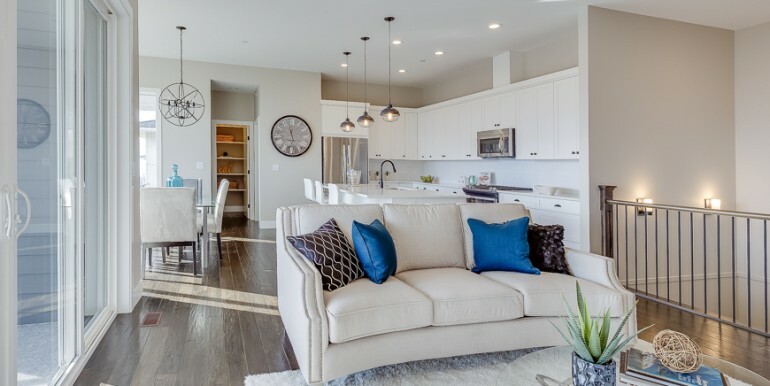 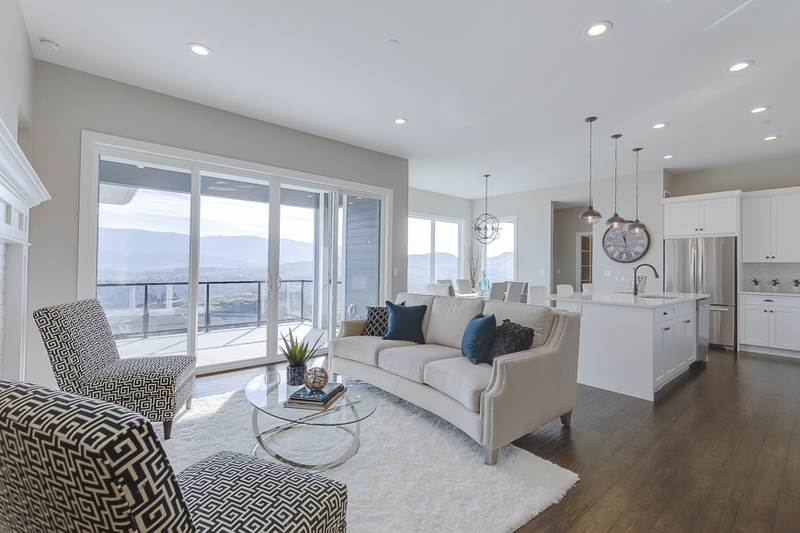 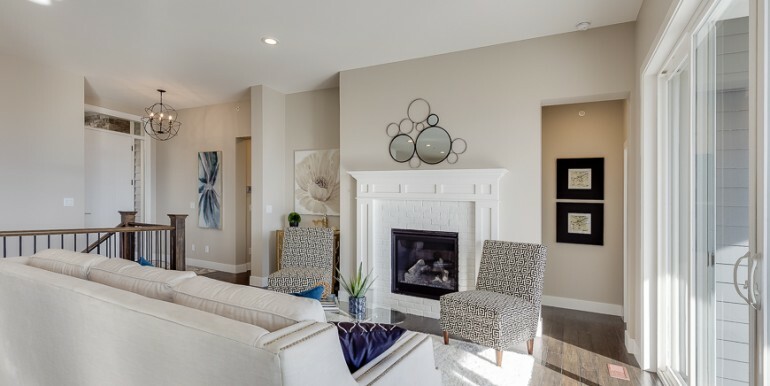 Buyers have the added incentive of participating in the Predator Ridge Homeowner Advantage Program which offers them reduced green fees and instant discounts throughout Predator Ridge.